Episode 373 - Team 7 Assemble! Team 7 is finally reunited when Naruto, Sakura and Sasuke join forces. Kakashi holds on to the hope that Obito can return to being the young man that he remembers. But Obito has abandoned the present as well as the memories of his friends and is determined to end the world! Episode 376 - The Directive to Take the Nine-Tails! Part 1 of a special two-part extra edition! The townspeople are going about their daily business on the streets of the Leaf Village when someone suddenly appears and starts sending them flying! Part 2 of a special two-part extra edition! The townspeople are going about their daily business on the streets of the Leaf Village when someone suddenly appears and starts sending them flying! Obito has gained complete control over his power as the Ten Tails Jinchuriki. 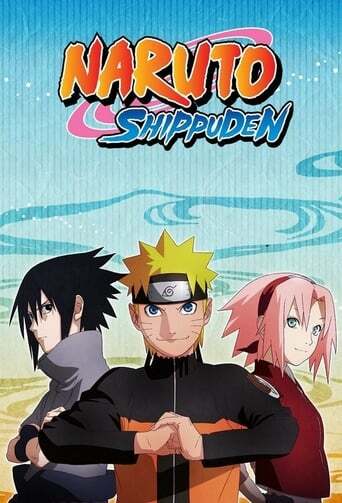 His powerful, cold-blooded attacks force Naruto and his friends into a corner. Minato is filled with regret during his confrontation with Obito. He thinks if only he had recognized Obito as the Masked Man during the assault on the Hidden Leaf Village, he could have stopped the attack, and maybe Kushina would not have died. Naruto and Minato combine their powers to perform a Sage Jutsu attack on Obito. The Ten Tails morphs into its final form, "The Divine Tree," and attacks the shinobi, absorbing their chakra one after another. Naruto's past, thoughts, and feelings flow into the consciousness of every shinobi, unifying their hearts. Naruto and Sasuke size up Obito as the final battle looms. Naruto objects to Obito’s claim that he is the second Sage of Six Paths and declares that he is Obito Uchiha. Pressed by Naruto, Obito remembers the time he, Kakashi, and Rin teamed up for the Chunin Exam and when he promised Rin that he would become Hokage. Naruto's power of persuasion moves Obito's heart. Due to the influence of the Ten Tails, visions of himself and Rin from the past appear in the inner realm and play havoc with Obito’s emotions. All the Tailed Beasts are freed, and old friends Kakashi and Obito come face to face with each other. What will Obito's response be? Meanwhile, the Tailed Beasts and the Allied Shinobi Forces shift their focus onto their greatest foe, Madara Uchiha. Gaara is reunited with his former Tailed Beast, Shukaku. When Gaara asks Shukaku to lend his power to seal Madara, he refuses. Will their history of animosity prevent them from working together? Hanabi adores her sister Hinata, who struggles to become a worthy successor to the Hyuga Clan. When Hinata is labeled unfit as a successor, Hanabi's heart becomes bound to her destiny. Naruto and the Allied Shinobi Forces successfully extract the Tailed Beasts from Obito. Only Madara remains, and Naruto heads out to tackle this foe. Despite all efforts, Kurama is extracted from Naruto, and ultimately, all the Tailed Beasts are imprisoned inside the Gedo Statue.